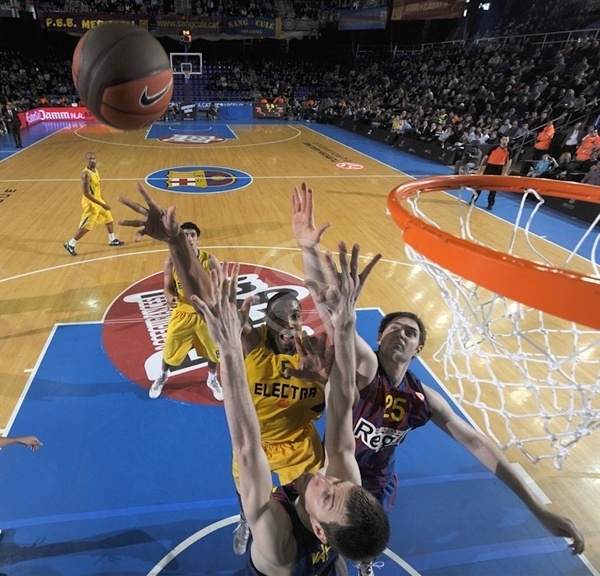 FC Barcelona Regal became the only team to finish the Top 16 with a perfect record by downing Maccabi Electra Tel Aviv 70-67 in a battle of playoffs-bound teams at Palau Blaugrana on Wednesday night. 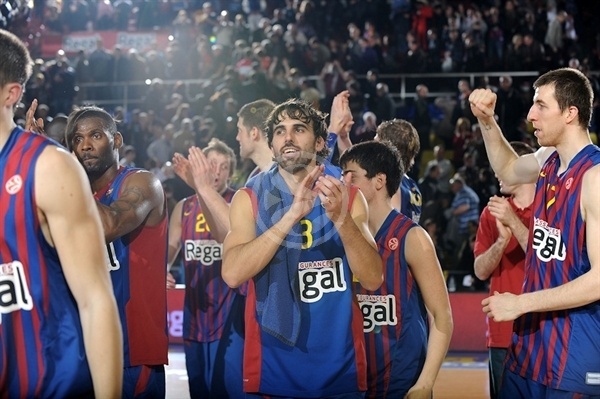 Barcelona won its seventh straight game and improved to 15-1 overall. Its next challenge will be Unics Kazan in the playoffs. Maccabi dropped to 3-3, but still finished second place in Group H. The Israeli champs will face Group G winner Panathinaikos in the playoffs in a rematch of last season’s Euroleague title game. Richard Hendrix dominated early and finished the first half with 21 points to keep Maccabi within 34-33 at the break. But Barcelona silenced the Maccabi big man in the third quarter as Kosta Perovic helped out on both ends and the hosts stretched their lead. Back-to-back three-pointers by Xavi Rabaseda and C.J. Wallace made it 57-44 early in the fourth quarter. Maccabi rallied back behind Guy Pnini and Keith Langford to make it an exciting finish and had a chance to tie it at the end, but came up short. Pete Mickeal paced the winners with a season-high 20 points, Marcelinho Huertas added 10 and Perovic tallied 9 points and 8 rebounds. Hendrix finished with 24 points and 10 rebounds for Maccabi and Langford netted 15 in defeat. Hendrix got Maccabi going with free throws, as Barcelona missed its first 3 shots. A tip-in by Langford soon gave the guests a 0-4 lead. Langford kept pacing Maccabi with a backdoor layup that Mickeal erased with a long jumper. Mickeal shined with a wild driving layup and a fast break basket by Marcelinho tied it at 6-6. Barcelona kept excelling on defense and a follow-up layup by Joe Ingles gave the hosts their first lead, 8-6, after an 8-0 run. 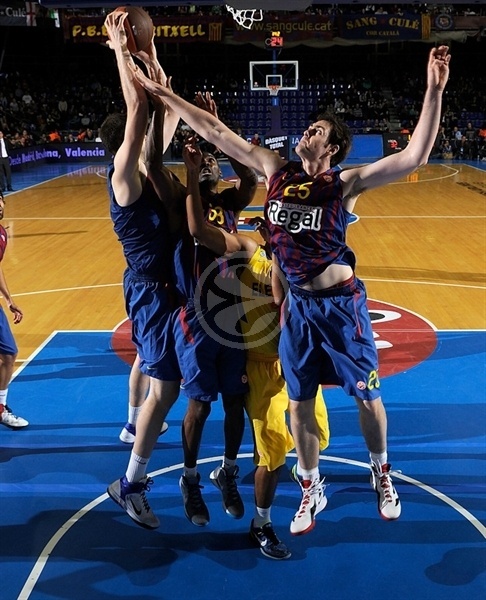 Hendrix and Fran Vazquez traded baskets and a baseline jumper by Mickeal gave Barcelona a 12-8 edge. Hendrix stayed on fire with a jump hook that a red-hot Mickeal bettered with a three-pointer. Hendrix followed another jump hook with an uncontested dunk to make Barcelona call timeout at 15-14. An unstoppable Mickeal took over with a tip-in and Boni Ndong added free throws, but Sofoklis Schortsanitis found Hendrix for another easy basket and hit a jump hook for a 19-18 score. Hendrix beat the buzzer with a three-pointer to put Maccabi back ahead, 19-21, after 10 minutes. 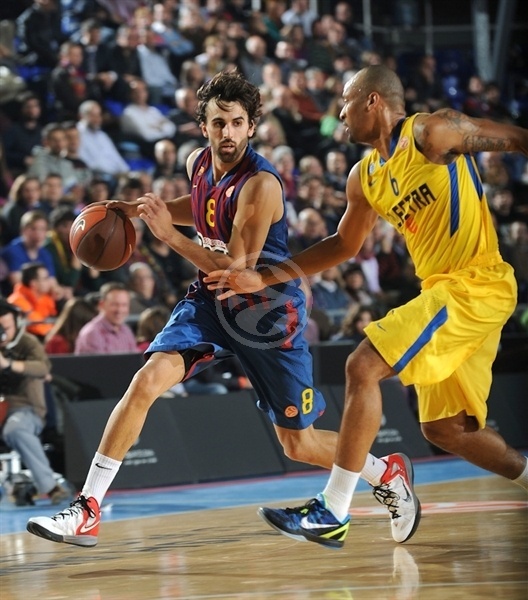 Rabaseda banked in a three-pointer early in the second quarter, as Barcelona improved its defense. Maccabi kept running its offense through Hendrix, who sank free throws for a 22-23 lead. Ingles struck from downtown and Huertas swished a three-pointer in transition to force Maccabi to call timeout at 28-23. Devin Smith joined the three-point shootout, as Maccabi tried to play at a higher rhythm with Theo Papaloukas and Langford at both guards. Hendrix scored again but he didn't find much help around. 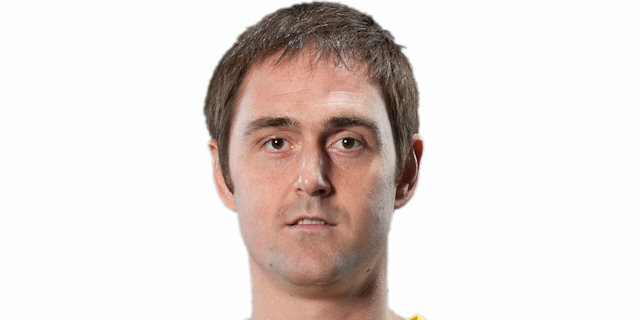 Both teams went scoreless for three minutes until Erazem Lorbek stepped up with a six-meter jumper. 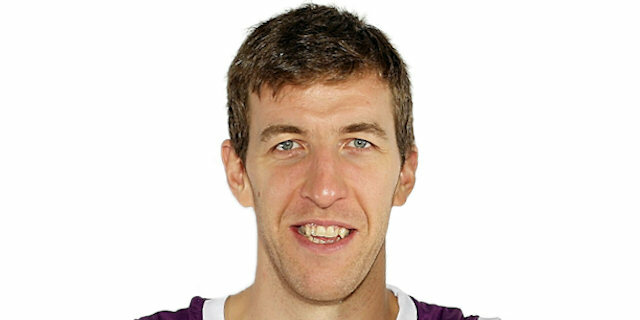 Barcelona tried twin point guards to leave Victor Sada to guard Langford. Yogev Ohayon took over with a three-pointer, but a driving basket by Lorbek and a floating layup by Huertas put Barcelona back ahead, 34-31. Hendrix shined with another jump hook in the lane to keep Maccabi within 34-33 at halftime. Perovic took over with a jump hook - and the free throw that came with it - soon after the break. Maccabi was held scoreless for almost three minutes, as Barcelona was all over the place in defense and diving for loose balls. Ingles shined with a layup-plus-foul that soon made it a 7-point game. Langford tried to change things with a put-back basket that Perovic matched with another jump hook. 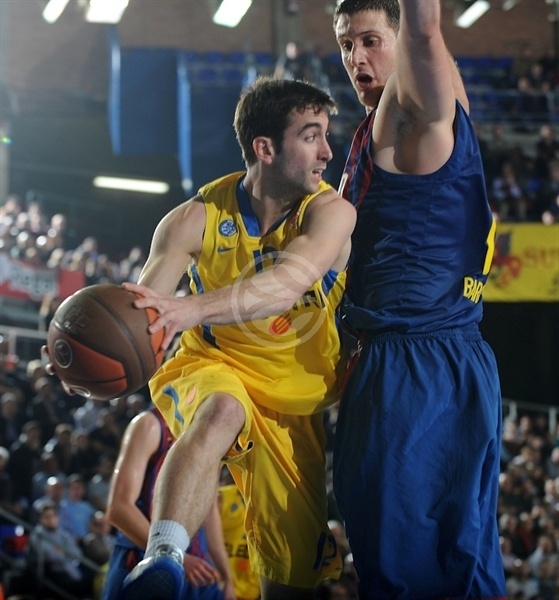 Langford kept pacing Maccabi with a mid-range shot and a free throw by Vazquez restored a 43-37 Barcelona edge. Perovic sank a five-meter shot and matched Langford's high-flying put-back basket with a dunk that kept the hosts way ahead, 47-39. Guy Pnini, now playing power forward, buried a three-pointer but Mickeal quickly answered from downtown. Pnini insisted with a rainbow jumper off the glass, but a free throw by Wallace fixed the score at 51-44 after three quarters. A three-pointer by Rabaseda made it a double-digit lead, 54-44, early in the fourth quarter. Wallace added his own shot from downtown to make Maccabi call timeout at 57-44. Schortsanitis tried to ignite the guests' comeback with free throws and a layup by Ohayon brought Maccabi within 57-48. A three-pointer by Smith forced Barcelona to call a much-needed timeout at 57-51, after a 0-7 run. 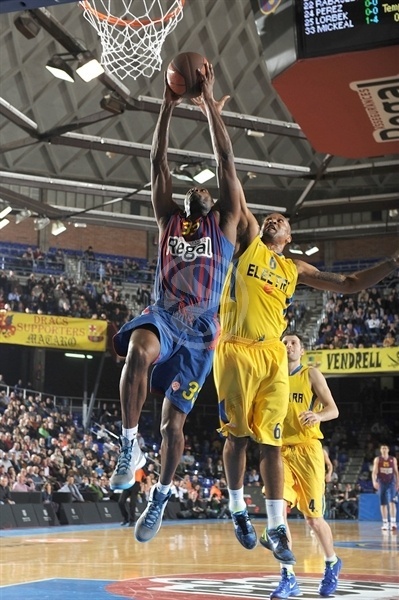 Wallace stepped up with his second triple, as Barcelona tried to slow down the game tempo to run the game clock down. Pnini provided a highlight with a four-point play that got Maccabi even closer, 60-55, with under six minutes left. Mickeal swished a baseline jumper and matched Oyahon's fast break layup with a close basket. Langford beat the shot clock with a power basket, split free throws and scored again for a 64-62 Maccabi deficit with 2:13 to go. Huertas took over with a critical triple, but Hendrix matched it with a three-point play for a 67-65 score with a minute to go. Wallace missed from downtown, but a key offensive board by Mickeal allowed him to draw a foul with 14.7 seconds left. Wallace split foul the shots and Ohayon scored down low for a 68-67 score with 6.3 seconds to go. Maccabi fouled Mickeal, who calmly made free throws. 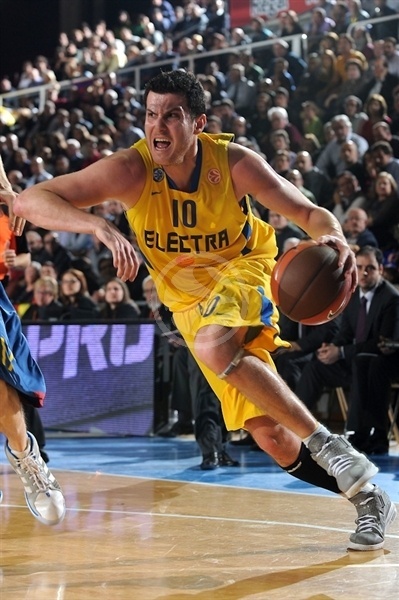 Maccabi had a chance to tie the game, but Pnini missed from downtown at the buzzer. 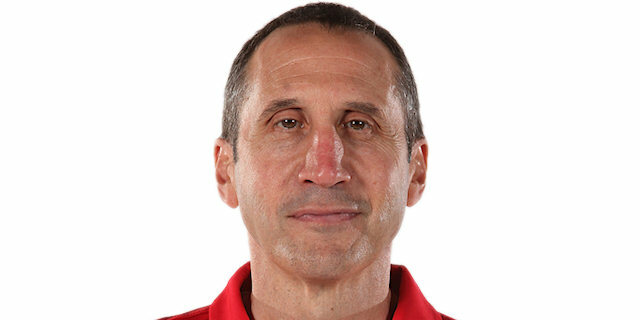 "It was a tough and physical game. The two teams respected the game, each other and the fans and showed professionalism of the highest left for an interesting and dramatic game. We were without David Blu, Tal Burtsein and of course Shawn James. We did the best we could and in light of our bust week with four games, I think these guys deserve plenty of credit. " "The first goal was to win the game and stay unbeaten at home, and we managed to do that. We have to keep fighting. We have a lot of respect for Unics and expect a very tough series. Nothing will be clear until the final game." "We couldn't be more satisfied with our game. We played very well in all the games in this Top 16 group. We managed to get another win against a very big team like Maccabi. Unics has improved a lot since we played against them in the regular season. It is a strong team, with a lot of good players, a very physical squad. They managed to survive a very difficult group."